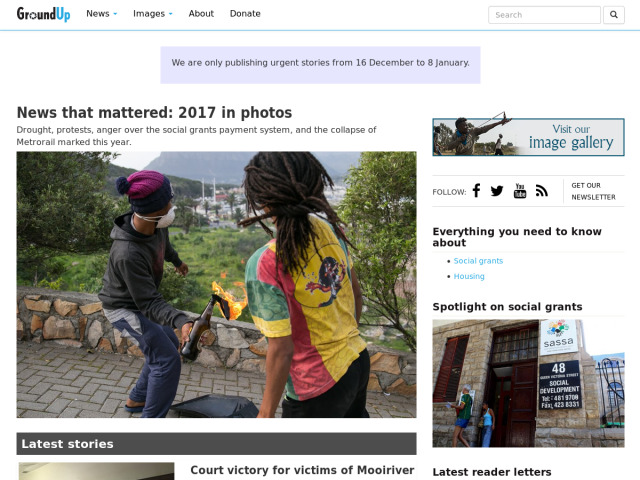 GroundUp is a South African news agency. Our reporters focus on human rights stories. The vast majority of our stories are published under a Creative Commons license. South Africa[HTML_REMOVED]s largest publications regularly republish our news.